The Journal of Bone and Joint Surgery reported a study that revealed simultaneous bilateral TKA is associated with significantly higher rates of in-hospital complications as compared to risks with unilateral TKA. [iii] Surgical replacement of both knees at one time does reduce medical costs and shortens the recovery period as compared to consecutive right and left total knee replacements. Increased risk of complications and potential death, however, are inherent in simultaneous bilateral TKA. Data from more than 400,000 TKAs from 2004 to 2007 revealed patients who had simultaneous bilateral TKAs were more than twice as likely to suffer a minor in-hospital complication or death as compared with patients who had unilateral TKAs. There was no significant association between race/ethnicity and in-hospital mortality (death), but African Americans and Asian/Pacific Islanders had a significantly greater risk for minor complications as compared to whites. Gender analysis showed that male patients were more likely than female patients to suffer an in-hospital complication. The injured worker in need of total arthroplasty of the right and left knees will typically return to work more quickly if the knees are surgically replaced simultaneously versus replacing each knee in consecutive procedures. In-hospital complications, however, are significantly increased with bilateral simultaneous total knee replacements. 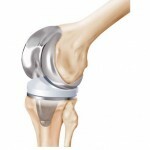 [i] American Academy of Orthopaedic Surgeons, orthoinfo.aaos.org (December 2011). [ii] AHQR Pub. No. E0006-2 (December 2003); See also, Kutz S, et al, Projections of Primary and Revision Hip and Knee Arthroplasty in the United States from 2005 to 2030. J Bone Joint Surg Am 2007;Apr;89(4):780-5. 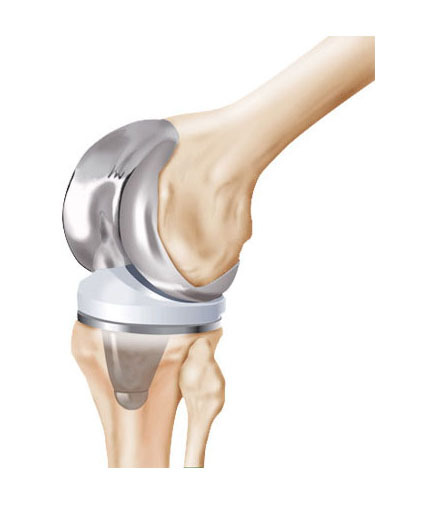 [iii] Odum S, et al, In-Hospital Complication Rates and Associated Factors After Simultaneous Bilateral Versus Unilateral Total Knee Arthroplasty; J Bone Joint Surg Am, July 2, 2014; 96:1058.